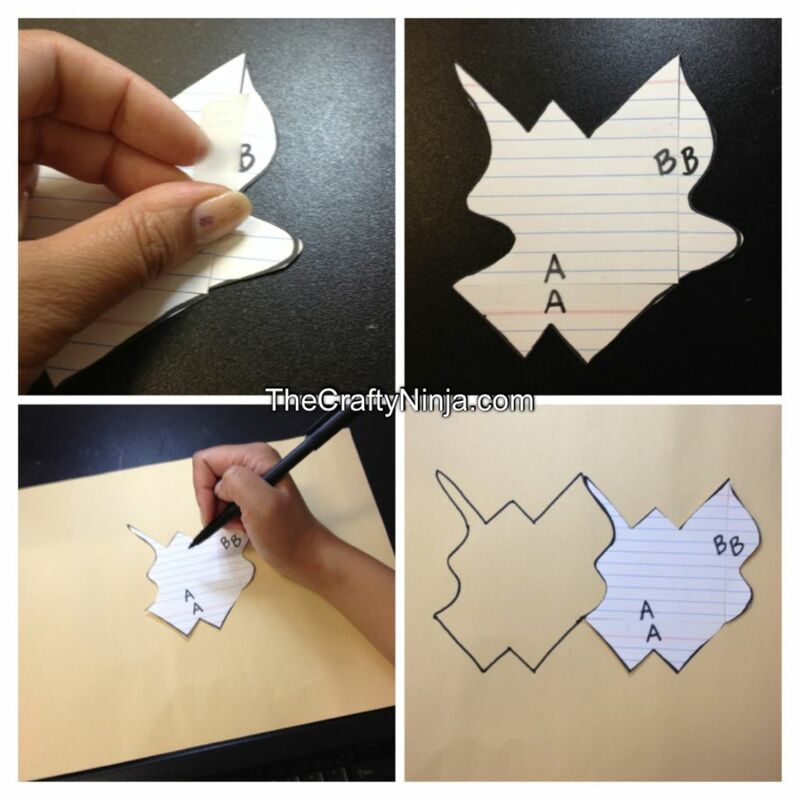 To create a tessellation you will need an index card cut to 3”X3”. Draw a line from the top corner to corner. Label inside A and bottom A. Next draw a second line on the side from corner to corner. Label B and B on the other side. 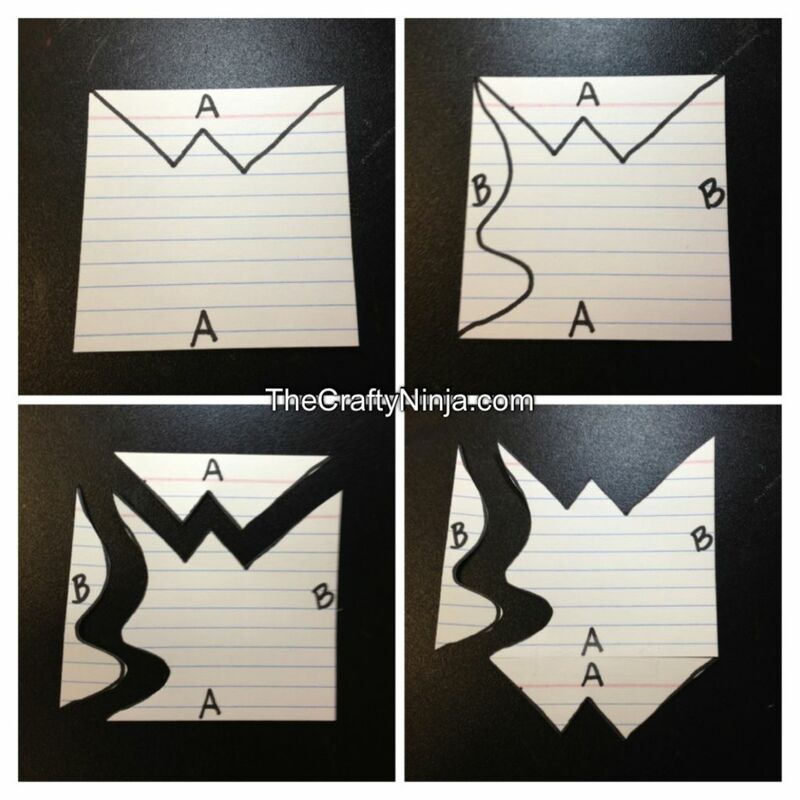 Cut line A and line B. Translate or slide piece A to A and tape. Translate or slide piece B to B and tape. 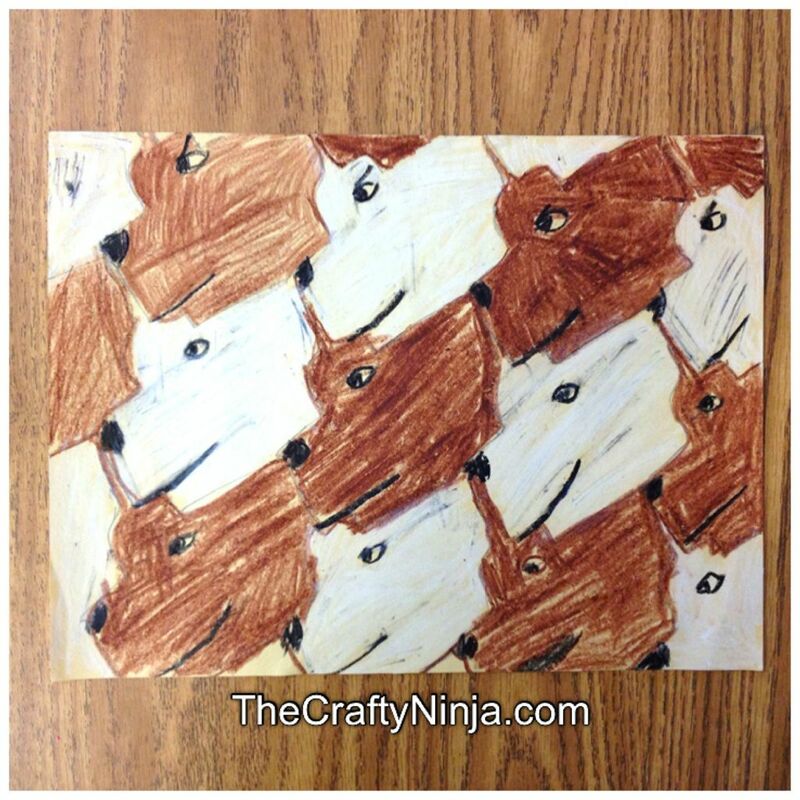 Now that you have your tessllation piece you will be ready to trace on a 9X12 paper. Start from the center of the piece of paper and trace. Translate vertically and horizontally to trace. The students will completely trace and cover the entire paper. Color in a pattern, leaving every other one blank. 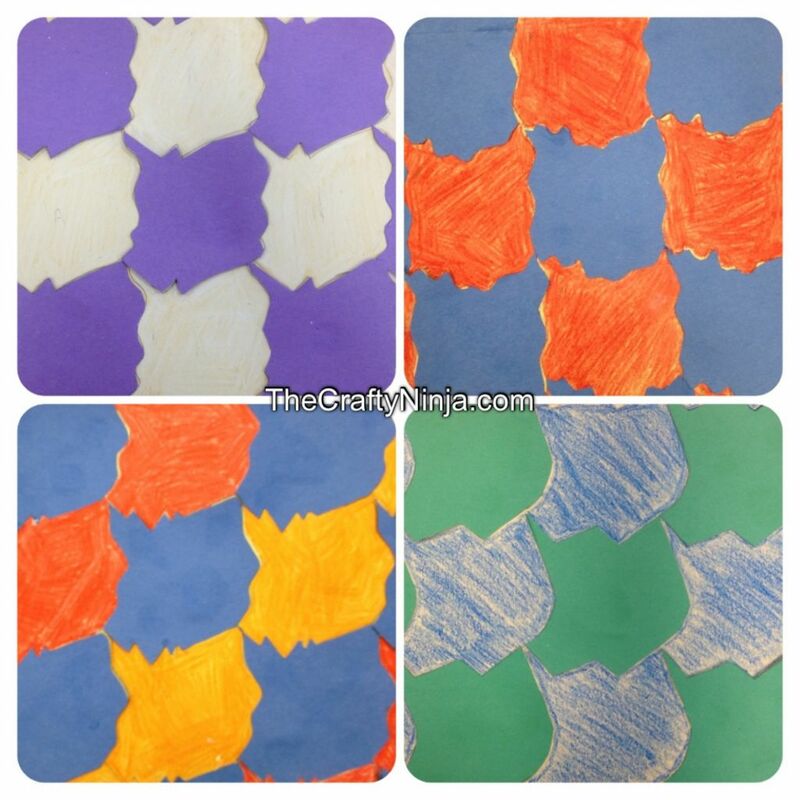 Then on a second 9X12 piece of color construction paper, trace the tessellation piece, cut out, and glue in a pattern to the first piece of paper. 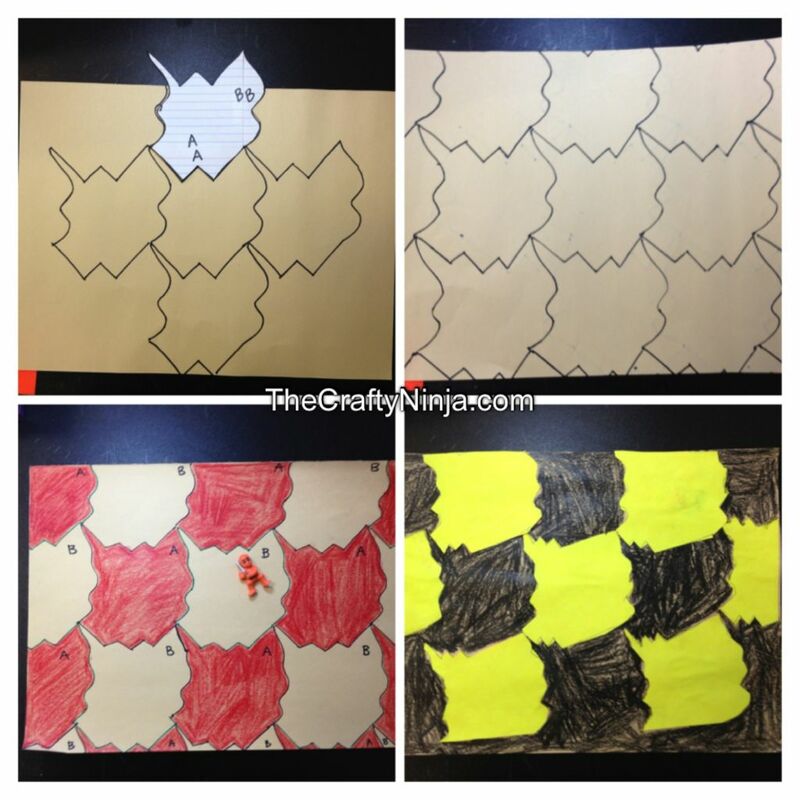 This 3rd grader was creative and drew pictures inside their tessellations.